These pages are dedicated to the wonderful Bichon Frise, Coton de Tulear & Havanese, and to all those who love them so very much! An extra special dedication goes out to all the CK babies near and far. I am so pleased to know you are being loved and spoiled by your new families! Cornerstone Kennels is located in the heart of the Sacramento Valley in Northern California. Here at Cornerstone, we have been dedicated to raising beautiful, healthy, happy, AKC puppies since 1985 for people to love as members of their families. 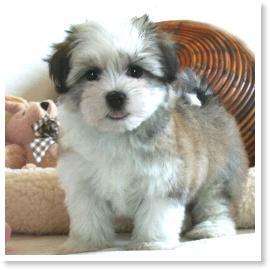 We specialize in the Bichon family of dogs and believe they are among the finest of all breeds. We strive to produce puppies that are a compliment to their breed by careful selection of our parent dogs. By keeping their standard for conformation and temperament in mind as some of our top priorities, in addition to pre-breeding health screening, we are able to make the important decisions needed for such selection. We place our puppies only in approved homes. Although it is certainly a delight to have the privilege of spending time with our dogs and puppies, to experience the wonders of these beautiful little lives from the very beginning, so much of our reward comes from knowing that the puppies we produce will bloom and grow in the hearts of those whose lives they touch. It is such a joy to receive the letters, cards, calls and pictures from families who have added one or more of our puppies to their home. We are always so grateful to be remembered with such thoughtful updates about our little ones. Hearing about our babies is definitely one of the highlights of what we do! We have a small kennel with large, comfortable indoor/outdoor runs for our dogs that are nicely heated and cooled. All of our dogs spend time in the house with us in turn. Our puppies are born and raised in our home where they spend their time with our family and friends. By the time they leave us, they have had all their shots and wormings to date, a little training and a lot of love. We are confident that our puppies will be a pleasing addition to any family and guarantee every one of our puppies in writing. We hope that you will enjoy your journey through the pages of Cornerstone Kennels!